In an effort to share resources and collaborate on upcoming research projects, Boston University’s Frederick S. Pardee Center for the Study of the Longer-Range Future has established a partnership with Beijing Normal University. The two institutions will focus on interdisciplinary research with the goal of learning about the problems of the future and the ways in which they should be managed. Postdoctoral research associate John Patrick Connors and faculty research fellow Bruce Anderson traveled to China, where gave talks about their research at BU and solidified details of the collaboration. Having the ability to leverage both BU and BNU’s resources and expertise will mean that the Pardee Center will be able to expand its knowledgebase much more rapidly and efficiently than if the two institutions were working independently. 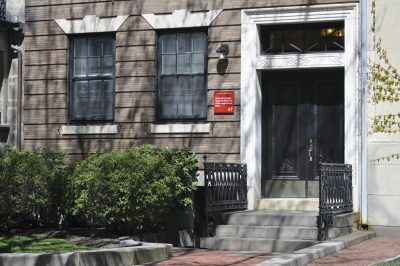 The Pardee Center is one of the few interdisciplinary research centers at BU. He explained that when BNU was visiting the United States last year, they visited several East Coast colleges, including BU. BNU was conducting research associated with climate change, climate impact, the risks associated with climate change on cultural productivity, transportation and ways for creating scenarios for the future, Janetos said. “So, we put together a program that involves several faculty from Earth and Environment and Public Health to give them a little sense about what we were doing in that area,” he said. As a result, the two universities realized they have many interests in common, and BNU suggested that they form a collaboration as a vehicle for hosting students and faculty on research trips and sabbatical leaves in order to work on projects jointly. Several BU students said they were optimistic about BU’s collaborative efforts with other universities. Grant said that as an international relations major, his focus was mainly on security issues. He added that he believes the most daunting security issue is climate change because of the vast variety of areas it could impact. He said he hopes institutional partnerships like the one between BU and BNU will make it easier to combat problems like climate change. “I think something concrete needs to be done towards climate change and I think the United States needs to have a much more responsible and active role than it does now,” Grant said. Elena Sanchez, a freshman in the College of Engineering, said the collaboration between universities may bolster the college experience at BU for international students. Anderson said it was important to create the international collaboration because of the similarities both countries share.